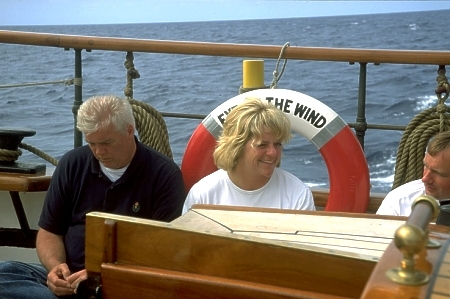 After Ole died, Svend and Gitte had to go to the court in order to take over the ship as planned from the beginning. Svend made it, but soon after that lucky moment, a tumor was discovered. He passed away on March 14, 2008. We think about Gitte, his wife and their sons and hope, they will find a way to deal with the loss. We also think about the Eye, facing again an uncertain future.